When you ask Michael Dickson about his career at Caterpillar, pride comes to mind. As a facility trainer, Dickson is able to share his pride for the products which power the globe to other employees. Early in his career, Michael Dickson spent his time working in call centers, but after 14 years, he grew tired of the white-collar profession, and knew it was time for something different. It was with that, Dickson decided to follow in his grandfather’s footsteps, who worked at Caterpillar for 35 years, by becoming a Facility Trainer. 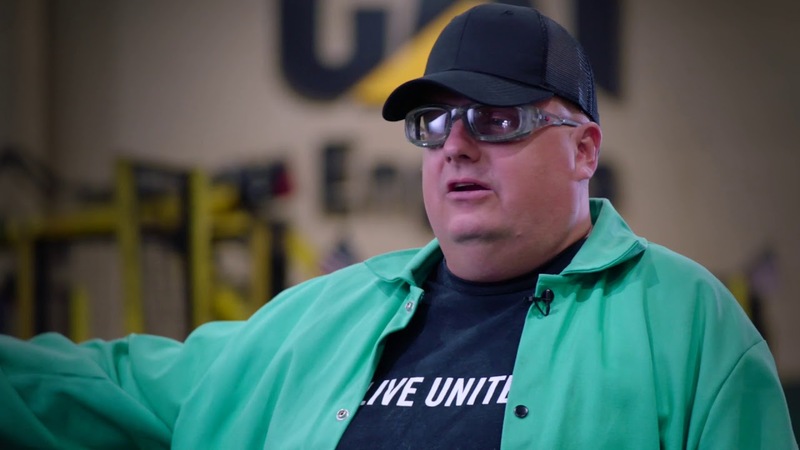 Ever since making the switch, Dickson says he’s been happy and proud to tell others he works at Caterpillar because of the globally known brand. It is obvious to everyone around that Dickson takes his pride in the Cat brand and put’s it directly into the work he does daily. Each day Dickson said he is excited to come to work for the opportunity to interact with the new hires. He enjoys being their first impression and helping those who may have no previous experience in the manufacturing environment, learn to be successful and produce quality products safely, every day. We know teamwork is critical to success, and our people are the backbone of Caterpillar. Are you ready to join our team and do work that matters?